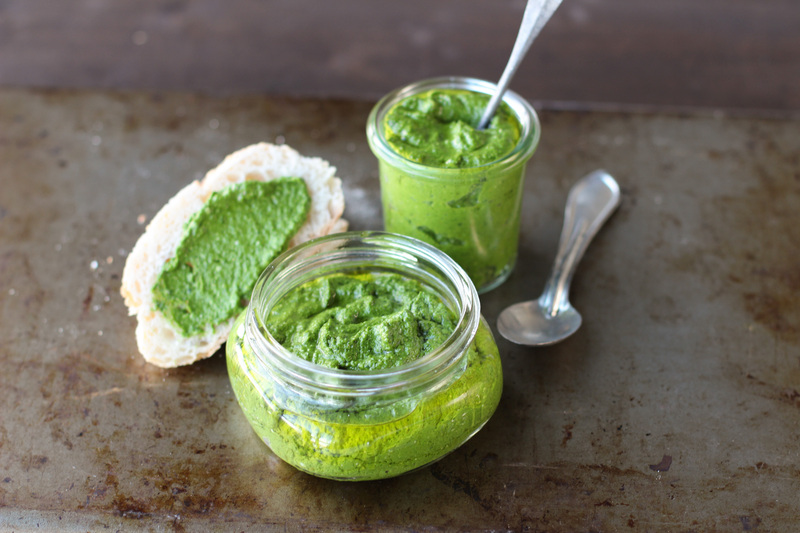 This green goodness is so versatile. Use it for pizza, pasta, sandwiches or egg dishes. Place all ingredients except oil in a blender or food processor and pulse to chop. Gradually add oil and blend until mixture is smooth. When you have an abundance of garden or farmer's market greens, this is a great recipe to double up on. Freeze it in ice cube trays so you have an easy way to dress up a quick meal on a busy day.